Does England Want to Win the Ashes 2015? On the face of it this is a pretty stupid question as you would expect the answer to be obvious. But when you decide to leave out the best batsman ever to have donned an England cap then the question has to be asked. Yes Kevin Pietersen is arrogant, yes KP has made mistake after mistake compounded by yet more mistakes. If there was an award for mistakes and not learning from them KP would win hands down. And he has Piers Morgan doing the tour of the newsrooms on his behalf. How many more misjudgements can a guy make? But on the flip side how would you feel if a group of work colleagues set up a fake twitter account to make you look deliberately stupid? Or what about if you went to your line manager with a serious worry about the mental health of a co worker and got blown off? 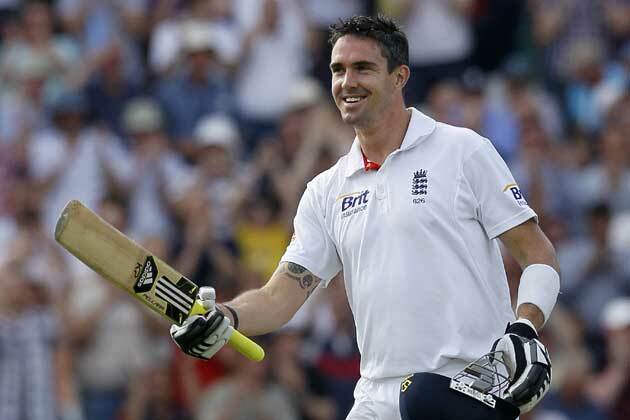 (KP claims he told Andy Flower about Jonathan Trott’s depression but was ignored). We can never be sure about what goes on in the locker room in professional sport. From reading his books it appears that KP is ridiculously talented but struggles to wear the persona that his batting conjures up in the eye of the viewer. He bats with complete self confidence, with no fear of being out to a daft shot and his demeanor is enough to scare the bejaysus out of most bowlers when Pietersen is in full flow. But off the field he is shy, awkward in social situations and hates being away from his family on tour. Thus he compensates with outrageous tattoos, daft haircuts and laddishness which has sometimes led to boorish behaviour. In 2007 KP allegedly placed a jelly bean at square leg to bait Indian test player Zaheer Khan about his weight. His spell as Test skipper ended in ignominy following a bust up with coach Peter Moores, but he was praised widely for his treatment of young players making sure they were integrated into the dressing room. KP remembered how intimidating the place can be for newcomers entering into a rigidly hierarchical system based firmly on seniority. His determination to make the notorious Monty Panesar be able to hold up an end with the bat was vindicated in July 2009 when he spent an hour at the crease to draw an Ashes Test at Cardiff which set up the series win. At club level Jason Roy told Sky Sports last August about how KP spent hour after hour with the young Surrey players, helping them to hone their skills. Kevin Pietersen’s fall from grace was spectacular and self inflicted. In the summer of 2012 he sent texts regarding his successor as England captain Andrew Strauss to members of the opposition South African touring team. He was banned for one game and forced into a humiliating apology. But Strauss, Broad, Prior and Jimmy Anderson seemed unable to draw a line under the issue. Whilst the team was winning, all was well but during the 5-0 Ashes drubbing Down Under the wheels came off and KP copped the blame. He was sacked. Moving on 12 months and there is new blood at the top of the game in the wake of yet another World Cup debacle and a poor showing against a weak West Indies team in the Caribbean. The middle order is shaky and overall the team lacks a leader in the middle. Incoming ECB Chair Colin Graves told the media in March that if KP knuckled down and got runs in the Championship then the England door was not shut. Pietersen cancelled a contract in the IPL worth a cool £205,000 from the Hyderabad team, trained with Surrey and last week scored a career best 355 not out in the County Championship. He donated his salary to charity. Just as it seemed a new era was about to dawn then along came Andrew Strauss in his new role of Cricket Director at the ECB. “Trust” it seems only went one way and KP will never play for England again. That’s that, finito. KP is, and never will be a “good egg” in the ludicrously Public School Boy cricket set up. So instead of drawing a line and moving on, Strauss would rather hand the Urn to the Aussies before a ball has been bowled. What comes first? Hurt feelings or the national team? We can beat Australia but it will be one hell of an uphill struggle without KP. Manchester United had no such hang ups. In 1998/99 Andy Cole and Teddy Sherringham were at daggers drawn and a putrid atmosphere existed between the two. Skipper Roy Keane and Fergie just told them to get on with it and act professionally. Guess what? It worked out and United won the treble. Was Boycott loved, did Ian Botham never rub people up the wrong way? I can’t imagine Clough or Don Revie never upset colleagues. Look at the relationships in that all conquering Somerset set side of the late 70’s led by the distinctly odd ball loner Peter Roebuck. They just got on with it. Tony Blair and Gordon Brown is another example. We need our best team and without doubt the re introduction of KP would be a much needed shot in the arm. My selection: Cook*, Lyth, Ballance, KP, Root, Bell, Buttler+, Stokes, Rashid, Broad, Anderson. « Election 2015. Four Years of Tory Lite. Five Months of Socialism.